Living an unhealthy lifestyle, consuming processed foods and even stressing out are just some of the ways we put toxins into our bodies. Toxins, in this case, are harmful substances from the environment that find their way into our bodies in trace amounts through the products we use, food we ingest, water we drink and air we breathe. We are exposed to toxins all the time, and our body by natural process can eliminate them through the colon, urinary tract and skin. But if we are constantly exposed to toxins, there is a possibility that our system may not be able to keep up. This may result in an accumulation of stored toxins in the body, which can be harmful and even fatal in the long run. Healthily cleansing the body through detoxification can help rid us of this waste. Detox diets and programmes have always fallen in and out of fashion, with people trying out colon cleanses, juicing, the no-sugar diet and supplement-focused diets, to name just a few. And there are many benefits when a detox has been executed correctly. 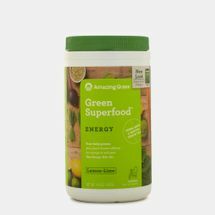 It can give you more energy for everyday function, helps you lose excess weight, build a stronger immune system and give us a stronger state of mind, healthier skin and hair, and an overall improved sense of wellbeing. You can make your own detox drink recipes using lemon, watermelon, mint, apple cider vinegar, aloe vera and more. Taking supplements with Vitamin C can also help, because this helps the body produce glutathione, which is a liver compound that flushes away toxins. Doing a natural detox, with the use of natural ingredients, eating fibre-rich food and exercising more, is always the best option. Shop the latest detox products online at Sun & Sand Sports and receive your order at your doorstep in Dubai, Abu Dhabi and all over UAE.